If minimalism is the movement against which Hilarie Mais must be comprehended, for John Nixon constructivism is the key. The flawless and seemingly inevitable abstractions of twentieth-century masters such as Mondrian and Malevich provide Nixon with his point of departure. 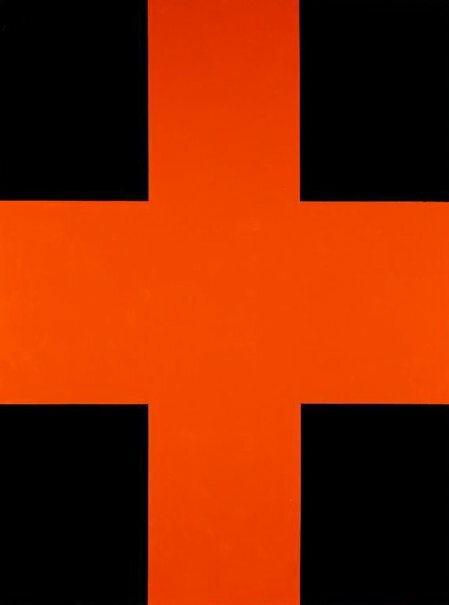 Beyond formal values, Malevich's social idealism and belief in the transformative role of art have influenced Nixon's approach to contemporary art production. The notion of the discrete and self-sufficient artwork, though not rescinded by him, has been subjected to systematic interrogation and re-conceptualisation since Nixon began his career in 1973. The ongoing sequence of non-objective self-portraits which has occupied him since the early 1980s, and for which he is internationally known, posits a view of artistic identity at odds with the expressive-romantic clichés more usual in Australian portraiture. Nixon has been an articulate defender of this position, arguing his case in room-scaled installations and thematic exhibitions of admirable authority over many years. Art Gallery of New Wales Handbook, 1999. Michael Desmond, Contemporary: Art Gallery of New South Wales Contemporary Collection , 'Abstraction', pg.16-59, Sydney, 2006, 48, 49 (colour illus.). Bruce James, Art Gallery of New South Wales handbook , 'Australian Collection: Painting and Sculpture', pg. 102-181, Sydney, 1999, 178 (colour illus. ).